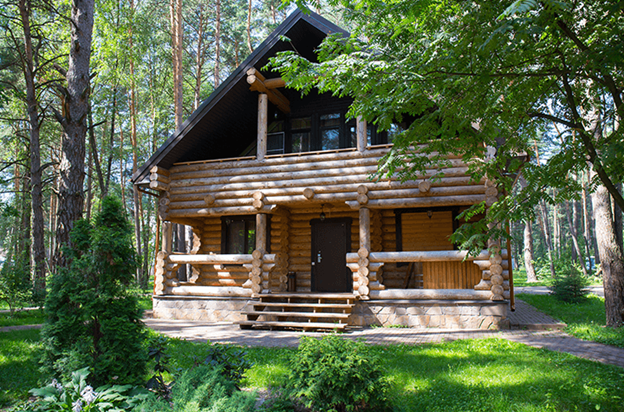 Do I Need Full Coverage for a Seasonal Property? A seasonal property needs to be insured,just like a regular house does. But while you might assume a property that receives less use will pose a lesser risk of leading to an insurance claim, it’s actually the opposite that is true. Your presence in a home can reduce the probability of damage. If a pipe starts to leak, a resident can hear it, find the issue and shut the water off. If no one is around, however, no one is going to address the problem. Instead of a small puddle in the basement, you’re going to end up with a flooded basement. And an insurance claim to follow. That’s why a seasonal property, like a cottage, requires insurance coverage for the entire year. While it would be nice to avoid paying coverage for a property you aren’t using, a tree branch is sadly no less likely to crash onto the roof just because you aren’t around to see it. What Does Recreational Property Insurance Cover? Recreational property insurance – a.k.a. cottage insurance – works similarly to the insurance policy on your primary residence. Its purpose is to protect the structure, the surrounding property and the personal belongings within. That is to say, obtaining the same level of protection for the same cost as your home insurance is a difficult task to achieve. The specific coverage you need for a seasonal property depends on a number of factors. For example, the frequency of use and purpose of the property will impact the type and cost of the policy. If you rent out your cottage in the summer, you will need to purchase additional insurance. Likewise, the cost of insurance will differ if you spend four months of the year living at the cottage on a full-time basis versus spending weekends there in the summer. Homeowners should purchase all types of insurance that apply to their property. If you have an additional structure on the property, such as a shed, a guest house, a garage or a boathouse, you will need to purchase additional coverage to insure those areas, as well as the main dwelling. In order to determine the value of the content insurance coverage needed, it’s a good idea to take an inventory of your personal items. Write down all items kept on the property, along with the purchase date and price. This will help expedite the claim if there is ever damage to your belongings. It also helps to have photos of the items. In some cases, you may not need to purchase a separate insurance policy to cover the building, land and contents of your recreational property. Sometimes, homeowners can include their secondary residence on their primary homeowner’s insurance policy. When shopping around for the best premium rates, ask about combined options and weigh the advantages against the cost of insuring them separately. This will help determine which type of insurance you need – and can afford. If you currently have home insurance coverage and need to add a seasonal property, check with your provider to see if you can protect both properties together.